eBay was first to exploit terminal dues to create special postal rates for Chinese companies selling into the US and Europe known as ePacket, and now President Trump may upend the system on which those rates depend. The New York Times reported today that President Trump plans to withdraw from the UPU (Universal Postal Union) treaty. The UPU manages the basis by which a letter from one country is delivered to another. In its first paragraph, the Times paints the treaty simply as something that undercuts American competitors and floods the market with cheap consumer goods, but that’s a byproduct of the glacial pace at which the 192-member organization moved as China became a global ecommerce force. The organization oversees complex movement of not only letters, but dangerous goods, dealing with currency and language issues to keep the mail moving and countries’ postal systems compensated. eBay has aggressively pushed overseas sellers to use its marketplace to reach US consumers, and it may have a lot to lose from a possible treaty withdrawal. If China retaliates, it could spell bad news for companies exporting to that country. The biggest winners could be shipping carriers such as UPS. As for domestic eBay sellers, they are counting on benefiting in a big way if the playing field is leveled. However, there are a lot of moving parts to international mail delivery, and the US could find itself playing a game of “Jenga” in which it tries to, in effect, pull out a single block without crashing the entire stack. “President Donald J. Trump received a report from the Department of State pursuant to the August 23, 2018, Presidential Memorandum on “Modernizing the Monetary Reimbursement Model for the Delivery of Goods Through the International Postal System and Enhancing the Security and Safety of International Mail.” The report noted that sufficient progress has not been made on reforming terms of the Acts of the Universal Postal Union (UPU) in line with the policies of the United States outlined in the Memorandum. The report also recommended steps the United States can take to address the problems identified in the Memorandum. “The United States of America has informed the Universal Postal Union (UPU) of its decision to withdraw from the treaties of the UPU. In a letter received on 17 October, the USA will withdraw membership to the Union a year from now. “UPU Director General Bishar A. Hussein regrets the decision and will seek to meet representatives of the Government of the United States of America to further discuss the matter. I wouldn’t hold my breath for to long. Common sense tells you it JUST AIN’T GOING TO HAPPEN IN OUR LIFETIME. Its wishful thinking. I agree. Too good to be true. Every last thing this commander in chief tries to do, the other side pulls out all the stops to prevent him from getting any thing done and create some massive side show. Hey! When you elect a clown, expect a circus. We’ll see how how long your “emperor for life” stays emperor. I guess it will be as long as that – maybe a short time, though, don’t you think! Only Clowns vote against their own self interest for the sake of rotten politics. Sop that one up Lee. I hope this goes through it has been a long time coming. Shame it’s a year out. I’d love it if it were done today & get it over with. They’ve had this advantage for too TOO long. RL15 is right–keep the Chinese crap in China. I do not compete with anyone including the Chinese on ebay since I sell relatively unique items. I doubt it will benefit me and probably will cause my shipping expenses to increase to China. They are not going to sit idly by while Trump raises their rates. I’ve been selling on eBay ever since it started. I also have several friends and relatives that have also been on it for that long. Never, in all that time, have ANY of us EVER sold ANYTHING to a buyer in China. I guess we all can adjust our shipping charges to China, too. Though, I guess it all would be pointless, wouldn’t it? I applaud President Trump and it is about time someone had the balls to step up and address the e-Packet problem. As a small business owner, I am beyond appalled that U.S. taxpayers have been forced (for many years) to subsidize the shipping rates of Chinese businesses. Not only do these Chinese companies ship their garbage to the U.S. at ridiculously low and unfair rates, they further manipulate the present system by intentionally declaring packages at well under their actual weight to gain even cheaper shipping rates. In the United States, this is considered a criminal action commonly referred to as FRAUD! Case in point – This past month I ordered trimmer line from a company in California. Two weeks later an e-Packet shows up from China. I looked at the weight on the package and it stated .1kg (or 3.53oz). As the package felt somewhat heavy, curiosity got the best of me and I decided to weigh it my postal scale. The resulting weight was 2lb 2.9oz. I subsequently had a discussion with my mail carrier about this and was horrified to find out that the USPS agreement is such that all e-Packets have to be delivered regardless of the stated weight. The Chinese know this very well and routinely understate the weight of packages to gain an additional advantage on shipping rates. Why pay to ship to a 2lb package when you can falsely claim it weighs just a few ounces and know that your friends at the United States Postal Service are required to guarantee delivery? Furthermore, there are many tens of thousands of e-Packets that are declared undeliverable every year and USPS is responsible for returning the packages back to China. Who pays? You guessed it – USPS pays the full shipping cost back to China. The last audit by the Office of the Inspector General found that USPS doesn’t even account for this cost in their annual financial reporting. How absurd is that? 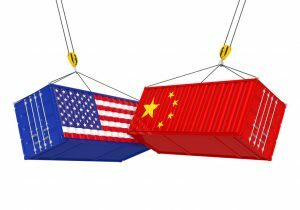 The New York Times yesterday quoted the average cost to ship the maximum 4.4lb allowable weight from China to the United States is about $5. For me to ship this same weight package to China through the United States Postal Service is $67.60. I don’t know about you, but I’ve had it with being taken advantage of by China – a country who routinely lies, steals and cheats when it comes to trade. They flood our country with counterfeit and highly dangerous products, they steal our intellectual property, and they show zero respect when it comes to our patents, trademarks and copyrights! Timbo…1kg is 2.2 lbs., not 3.53 oz. Sorry, but you are dead wrong on this one! .1kg (one tenth of a kg) is in fact 3.53 oz – You may want to get your “cheater glasses” out. The font on the decimal point on this site is exceedingly small. China – Postage – Free – NO MORE! China is TOAST! Stick a fork in them – they’re done! All of their listings on eBay will be gone, no more free shipping subsidized by US taxpayers. That’ll amount to tens of thousands of listings off the site. SOLUTION: Free Listings for American sellers. With the economy humming (Thank You, President Trump! ), and the Holidays coming up, a good way to propel the needed growth in eBay, will be free listings to sellers. An easy solution!